Posted July 26, 2016 under Travels. With Italy right above and North Africa to the West; Malta’s geographical spot in the Mediterranean has contributed toward its special role throughout history. This archipelago has been subject to a series of occupations over the centuries due in part to its militarily strategic location. Each of these fascinating periods in history have left their mark in some way or another, whether it be through the forts, chambers, cathedrals, artworks – or just one of the many enchanting aspects of Malta’s unparalleled culture. Visiting Malta is an experience in time travel, with historically significant remnants at every turn. Listed below are eight distinct landmarks in Malta, with a discussion of the unique time in the island’s’ history under which they emerged. A great number of Malta’s temples date back to the Neolithic period in 4000 BC, making them even older than the Pyramids. Evidence of early Neolithic life comes from remains of pottery and bones around the sites, but the dating of the actual temples has been difficult, as later civilizations from the Bronze Age built upon some of the sites with their own structures. Archaeologists have relied heavily on radiocarbon testing when dating the temples; a method which has allowed them conclude with a great deal of certainty that these structures are the oldest buildings in the whole of Europe and indeed some of the oldest in the world. 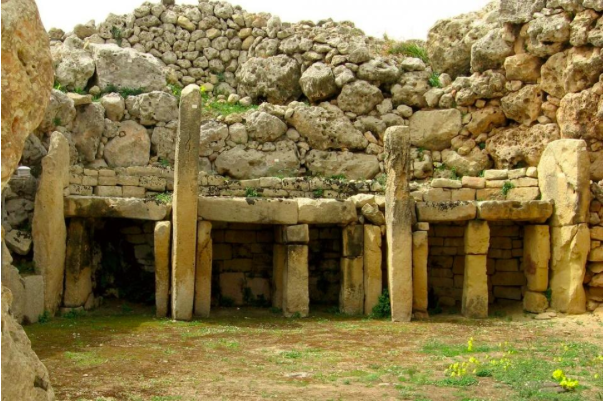 Malta’s Neolithic temples are listed as UNESCO World Heritage Sites and protected by heritage groups in Malta. Trivia: The temples are comprised of hard coralline limestone for external walls, whilst a softer globigerina limestone used for interior structures. Those who built the temples would have had excellent skills in working with these specific, readily available stones. Tourist info: The main megalithic temple sites include Ġgantija, Ta’ Ħaġrat Temples, Skorba Temples, Ħaġar Qim, Mnajdra and the Tarxien Temples. Contrary to popular belief that an ancient Greek colony occupied Malta, there is in fact a great deal of uncertainty surrounding the existence of said colony. Whilst there is no doubt as to the Greek-speaking Byzantine Empires’ five-century rule of Malta between 396 to 870 AD, no concrete evidence points toward a prominent Greek presence on the island between 800 and 500 BC. Despite this, legend has it that the beautiful Calypso’s Cave on the Maltese island of Gozo was the exact cave Homer wrote about in the Odyssey. Calypso, in Greek mythology, was a nymph who lived on the island of Ogygia (now believed to be Gozo) and kept the mortal Greek hero Odysseus imprisoned in the aforementioned cave for seven years. Though in love with him, she eventually set him free by the order of Zeus, as Odysseus longed to be reunited with his wife, Penelope. 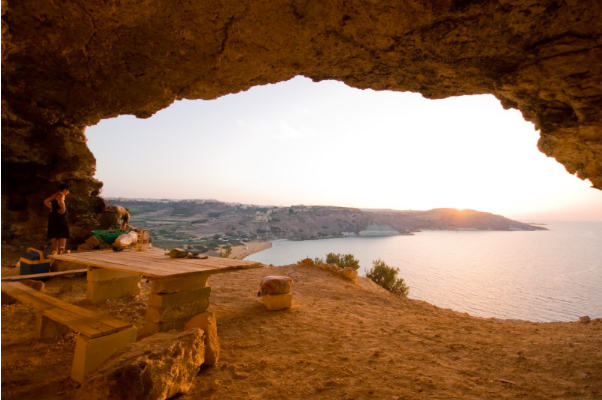 Whether or not Gozo’ Calypso Cave was truly the inspiration behind Homer’s envisioning of the myth, the grotto attracts hundreds of visitors each year – most of whom are equally as impressed with the breathtaking view as they are with the feeling of mysticism surrounding the cosy rock enclosure. 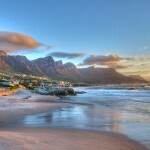 The view in question encompasses Ramla Bay, often regarded as the archipelago’s most beautiful beach, with its long stretches of sand and grassy cliffs. Trivia: The name ‘Malta’ is said to have come from Greek, as ‘melite’ is the Greek word for honey – a product of which the Maltese islands have become famed for producing. It is believed that Romans later transcribed ‘Melite’ to ‘Melita’, which then evolved into ‘Malta’. Tourist info: To avoid disappointment, make sure that the cave is open to the public before visiting, as it is sometimes closed due to ‘geological activity’. In the 90 minutes that it takes to complete the Xemxija heritage trail, you’ll encounter a wide range of historically significant sites, including an ancient menhir, Punic tomb, prehistoric burial caves, troglodyte cave, granary, Neolithic temple, old carob tree and the mysterious cart ruts. As for the Romans’ impact on the area – you’ll find here a Roman road, Roman-era bathhouse and Roman apiary. This highly concentrated area of archaeological wonders is lovingly preserved on a voluntary basis and, unlike so many other tourist attractions in Malta, is relatively remote and therefore unfrequented – allowing for a more peaceful visiting experience. Trivia: The Maltese brand ‘Zeppi’s’ produces alcoholic syrups from fruits native to Malta. Beans from carob trees, such as the one found along the Xemxija Heritage Trail, are used to make ‘Harruba’ liqueur. Roasting and boiling these beans result in a cocoa scented liquid to which orange extracts are added. Tourist info: Keep in mind that the part-uphill trail is not easily accessible for the disabled, and that embarking on the walk at peak summer temperatures between noon and 2pm is not advisable. Christianity in Malta dates back 2,000 years, and its introduction is typically marked by St Paul’s arrival on Maltese coasts in 60 AD. Paul the Apostle was to be taken to Rome by ship where he was to be tried as a political rebel. A storm wrecked the ship, and the hundreds of passengers onboard managed to swim safely to the shores of what is now known as the Island of St Paul. The Maltese welcomed and cared for the survivors, bringing them food and lighting them a fire. As they huddled around the fire, a poisonous snake bit Paul. 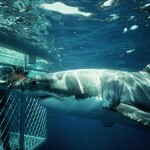 Onlookers were horrified, expecting Paul to fall ill. When he suffered no serious effect, the awestruck crowd took this as a sign that Paul was a holy man. 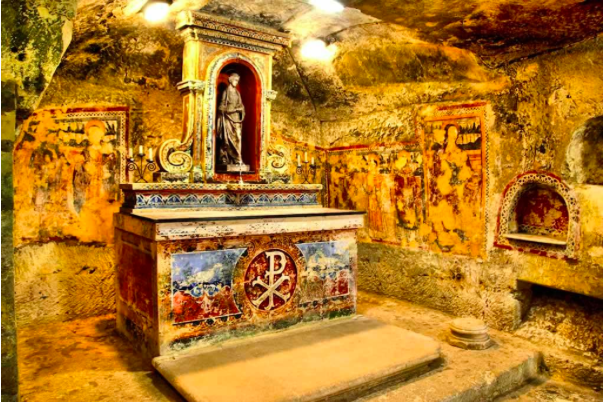 St Paul has been celebrated and memorialized in countless ways across Malta – especially through St Paul’s Catacombs, the incredible burial ground in Rabat. 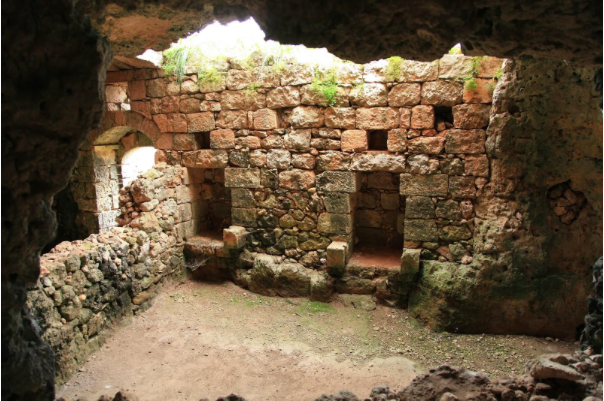 These underground tombs are of great importance in the study of Malta’s paleochristian archaeology. These catacombs, used mainly by the Romans, reveal a mixture of Pagan, Jewish and Christian burials – a sign of the Malta’s religious diversity at this point in history. 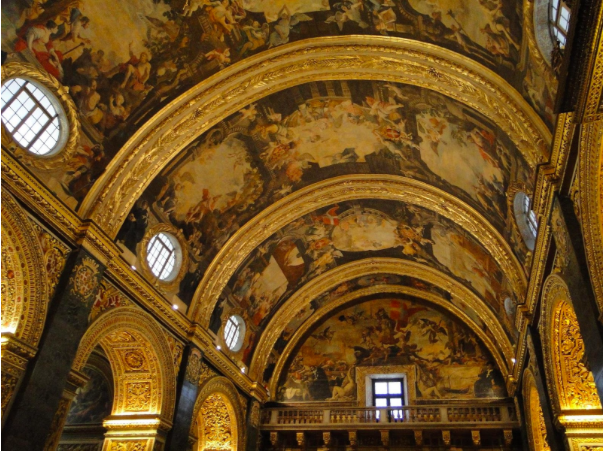 Trivia: The famous story of St Paul suffering a snake bite around the fireplace is depicted in several religious works of art around Malta – but also in the iconic interior dome of St Paul’s Cathedral in London. Tourist info: Only two out of the twenty-four catacombs are open to the public. They are open everyday from 9am to 5pm. 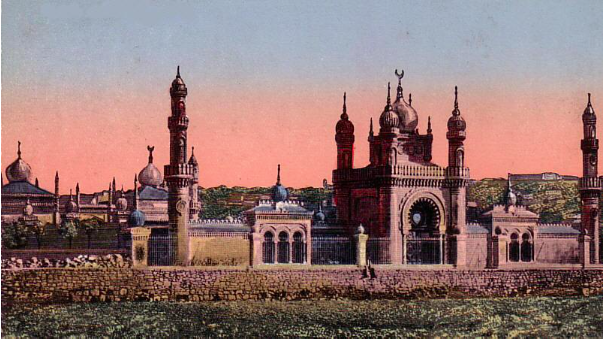 Muslims make up only 1% of Malta’s population today, but at one point Islam was the predominant religion on the islands. Spanish Moors ruled Malta between 870 and 1091 CE. During this time, Siculo-Arabic was established as the official language, which had a profound influence on Maltese etymology. The Maltese language has evolved into an entirely unique derivative of Arabic, having undergone a ‘gradual process of Latinisation’ and been formed in part by a range of English and Italian loanwords. Maltese is the only Arabic language written in Latin script. When visiting Malta you will notice that many town names are of Arabic descent – Mdina, Rabat, Mqabba, Għajnsielem, Xagħra and Żejtun to name but a few. The Moorish influence on modern Maltese culture can further be found in the island’s cuisine. Just like they had Sicily, the Moors had brought to Malta a range of ingredients and cooking techniques which came to define the island’s culinary traditions. Almonds, dried fruit and syrups – for example – all feature commonly in Maltese cooking. The traditional Maltese ‘pastizzi’ (a cheese or pea-filled pastry) and ‘imqaret’ (a date-filled dessert bread) also originated from Malta’s time under Muslim rule. Today, tourists can see the Turkish Cemetery in Marsa as a lasting remnant of this period in history; a beautiful building that boasts classical Moorish architecture. Tourist info: Unfortunately, visitors can not enter the Turkish Cemetery. There has been discussion over the past few years, however, of renovating the building, which could pave the way for a more immersive visiting experience. 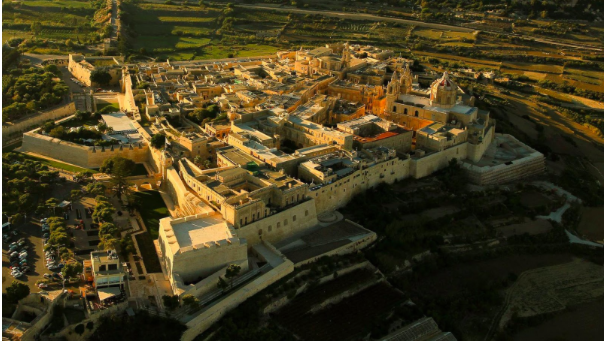 Mdina, or ‘The Silent City’, is undoubtedly one of Malta’s finest gems. This immensely atmospheric and beautifully fortified town has been featured in countless film and TV productions – from ‘The Count of Monte Cristo’ to ‘Game of Thrones’, and it’s not difficult to see why. Walking along its streets is like travelling back in time; an experience which evokes imagery of noble knights and Medieval markets. Mdina was founded by Phoenician settlers in the 8th century BC and grew significantly in size under the Byzantine occupation. During the Middle Ages, Mdina served as the island’s capital. By 1530, the Order of St John began using the town of Birgu as the administrative centre of Malta, at which point Mdina diminished in importance. 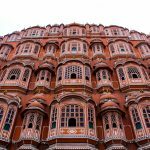 Its revival wouldn’t come until the early 18th century, during which time many Baroque characteristics were added to the otherwise typically-Medieval town. Today, it is a UNESCO World Heritage Site and one of the most popular tourist attractions in all of Malta. Trivia: Besides its fascinating history, Mdina has become known for its reputable glass factory and the colourful hand-made glass products crafted by local artists. Be sure to visit a Mdina Glass stores for a taste of these stunning products. Tourist info: Whilst you should visit Mdina in the morning or early afternoon if you are looking to enter its many museums and shops, late evening offers a more atmospheric ambience if you are planning on dining at one of its restaurants. The Knight’s Hospitallers was a Catholic military order founded in Jerusalem. Today, it prevails as the Sovereign Military Order of Malta, making it the world’s oldest surviving chivalric order. Without a doubt, the island’s rule under the St John’s Order of Malta has to be the most commonly known and celebrated of all Maltese occupations. Under the Knight’s Hospitaller, the Maltese successfully fought off the attempted invasion of the Ottoman Empire in 1522, in what became one of the most outstanding victories in history – but one in which Malta lost a third of its inhabitants. Following the monumental battle, the Knights settled permanently in Malta and established Valletta as the island’s new capital. The notable fortifications of Valletta were built by the Knights, as was the majestic St John’s Co-Cathedral in the city’s centre. This cathedral is one of the most prized attractions in the whole of Malta – not only because of its historical value, but due to the immensely decadent interior, quintessential Baroque style and display of original Caravaggio paintings. The Renaissance artist fled to Malta in 1606, after murdering a man in Naples. During his time in Malta, Caravaggio painted one of his most famous works of art – ‘The Beheading of St John the Baptist’, now showcased in St John’s Co-Cathedral. Trivia: The famous ‘Battle of Malta’ is known more internationally in modern times for being the name of Europe’s largest poker tournament, which takes place annually in St Julians and is organised by the Malta-based PokerListings. The event attracts over 2,000 players from across the world, and promotes education on the heritage and history of Malta. Tourist info: St John’s Co-Cathedral is open Mondays to Fridays between 9.30 and 16.30, and on Saturdays between 09.30 and 12.30. After helping the Maltese people rebel against French occupation in 1813, Britain came to rule the archipelago. During its time as a Crown Colony, Malta was greatly influenced by British culture. Significantly, English became an official language, alongside Maltese, which has helped Malta in international relations and in building their tourism industry. As the First and Second World Wars advanced, Malta became a hugely important strategic stronghold. British troops spied on the Sicilian Axis and fought off German attempts to infiltrate North Africa. In the underground Lascaris War Rooms of Valletta, you can see the original maps and code-breaking machines used during the Second World War. Amazingly, you can even see into the office of Eisenhower, where he worked during his military visits. Malta was heavily bombed throughout the Second World War which – alongside the Maltese people’s care for injured soldiers – lead King George V to award Malta the George Cross award for bravery, and as an acknowledgement of the pivotal role Malta played in the Allies’ victory. 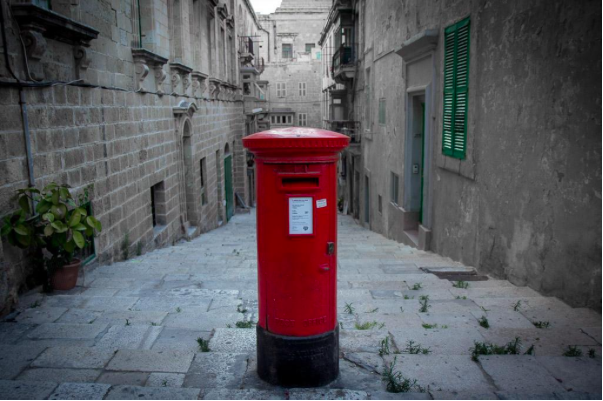 Nowadays, Britain’s impact on Malta can be spotted across the island in the form of red post boxes and telephone booths. It wasn’t until 1964 that Malta gained its independence, making Britain the last world power to have occupied Malta. Trivia: Queen Elizabeth lived in Malta between 1949 and 1951, and the island is still said to be amongst her favourite places to visit. Tourist info: The best places to spot the iconic British post and telephone boxes include Valletta, Mdina and Gozo. There is no end to the incredible wealth of history enshrined in the archeology and architecture that fills the islands of Malta. A more highly concentrated centre of culture is difficult to find, so anyone with the slightest interest in European history would be wise in paying Malta a visit. Then, if the immense amount of culture has you feeling like you’ve experienced an information overload, there’s always a gorgeous beach somewhere, on which you can laze about and enjoy the unbeatable Mediterranean climate. 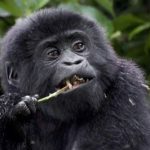 Gorilla Trekking in Bwindi National Park, Is It Worth the Price?